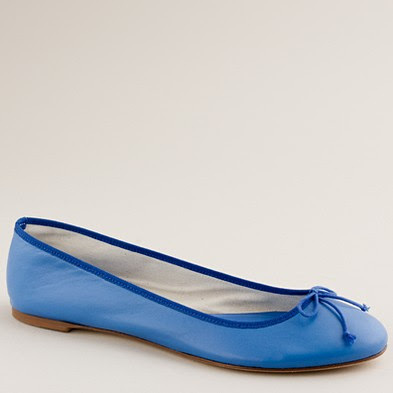 J Crew's classic leather ballet flat retails for $125 and comes in a bunch of colors. Banana Republic has a super similar flat, retailing for a slightly lower $98, but you can use the code BRSAVE25 for 25% off until the end of today. Click on the image below, other colors include black, orange, or yellow. Looking to spend even less cash? New York and Company has a similar shoe for $29.95, all colors shown in the photo below. Click on the image for more information or to purchase!